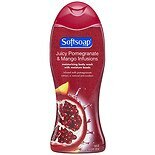 Shop Softsoap Moisturizing Body Wash Juicy Pomegranate and Mango Infusions (18 oz. )18 oz. $459$4 and 59 cents$0.26 / oz. 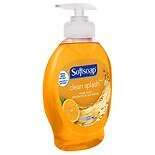 Shop Softsoap Hand Soap Pump Clean Splash (8 oz. )8 oz. $199$1 and 99 cents$0.27 / oz. 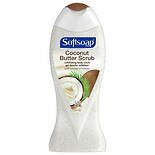 Shop Softsoap Body Scrub Coconut & Jojoba Butter (15 oz. )15 oz. 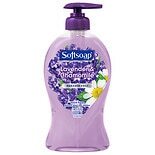 $459$4 and 59 cents$0.31 / oz. 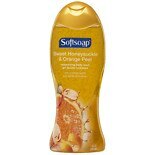 Shop Softsoap Moisturizing Body Wash Honeysuckle & Orange Peel (18 oz. )18 oz. 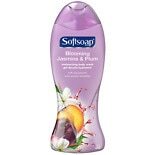 Shop Softsoap Body Wash Jasmine & Plum (18 oz. )18 oz. 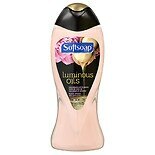 Shop Softsoap Luminous Oils Infused Body Wash Macadamia (15 oz. )15 oz.